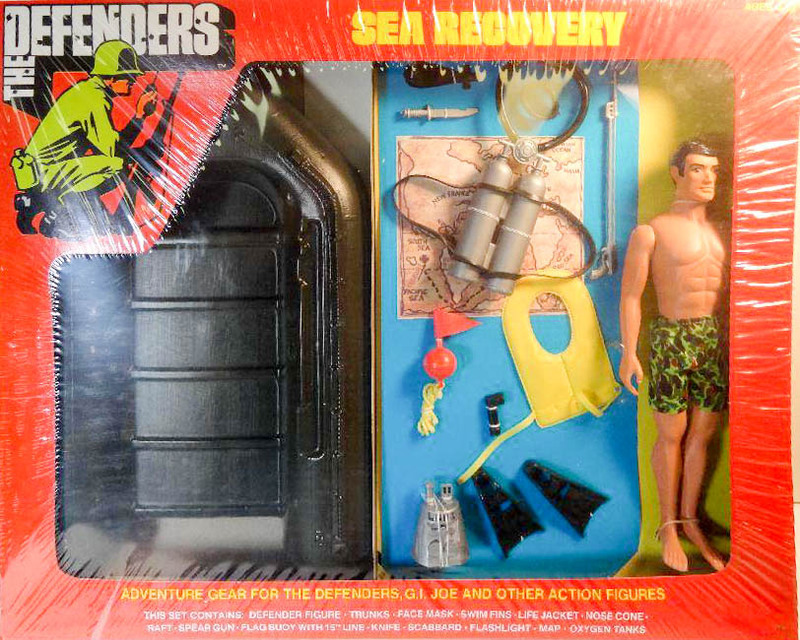 Sea Recovery features a great raft that was also used in the Action Man line in England. The AM version has a stern board that allows a motor to be attached, so it is a superior vehicle and less likely to sink. The silver oxygen tanks that came with this set may also have been available in the Diver's Distress set, though until a packaged one shows up the jury is out on that. The rare boxed version below appears courtesy of a private collection.